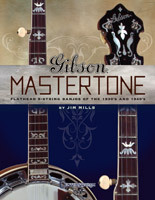 While Gibson produced literally thousands of banjos prior to WWII, only 250 or so featured that �Magic Combination� of an Original Flathead Tonering and Five-string neck. 19 of the absolute best are featured here. With details of their known histories and provenances, as well as never-before-seen photos, bills of sale, factory shipping ledgers, and other ephemera relating to these rare and highly desirable instruments. 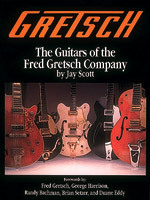 This comprehensive manual uncovers the history of Gretsch guitars through 32 pages of color photos, hundreds of black & white photos, and forewords by Fred Gretsch, George Harrison, Randy Bachman, Brian Setzer, and Duane Eddy. It covers each model in depth, including patent numbers and drawings for collectors. This tribute to Gretsch kits features full-color photos and interviews with sensational players. 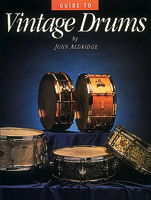 Written by the publisher of Not So Modern Drummer magazine, this in an essential guide for collectors-to-be that want to shop around, or for current collectors to discover drums outside of their area of interest. 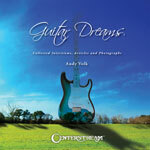 Guitar Dreams is a collection of interviews, articles and photographs that celebrate plucked string musicians and luthiers whose work delights, challenges, and inspires all of us who care passionately about the back stories behind the music and the instruments we love. Many of these pieces first appeared (some in different form) in the pages of The Fretboard Journal and Acoustic Guitar magazine, while others appear here for the first time. Included are many previously unpublished photographs. Contributors include Nato Lima (virtuoso nylon string guitarist), Jerry Byrd (steel guitar pioneer), Gabor Szabo (jazz and world music pioneer), Amos Garrett (Telecaster master), Muriel Anderson (fingerstyle virtuoso), George Barnes (seminal Jazz guitarist, and many others.